When we first met Brittany she was bubbling with excitement over recently getting her driver’s license. On driving herself to our interview in her Uncle’s old car, she said, “It’s great to be able to drive myself around. I also inherited some driving duties for my younger sisters.” A self-proclaimed “positive perfectionist” it was obvious after just a few minutes that Brittany gives 100% to every facet of her life and she is already making her mark on the world at the tender age of 16. Recently crowned as Miss Teen Southlake, Brittany received the highest score in every phase of the competition; Interview, Fitness, Talent, Evening Gown and On-Stage Question. Brittany Tew is a neighbor we all need to know. A native Texan from Decatur, Brittany and her family moved to Southlake when she was only 3 years old. Proud of her Texas heritage, she is looking forward to becoming a Daughter of the Republic when she reaches the age of eighteen. At home with Mom, Kristi, a Professor at Dallas Baptist University and Dad, Tom, a lawyer here in Southlake, Brittany is a sophomore at Carroll High School, the oldest sibling with two sisters. Tori is a freshman at Carroll and Kate, a 1st grader at Walnut Grove Elementary. We sat down with Brittany recently to chat about her busy and fulfilling life. Southlake Style: You’re involved in several activities at Carroll High School, aren’t you Brittany? Brittany Tew: Yes, I’m the Sophomore Executive for Student Council. I’m involved in Spanish club. I’m also the Student Announcer for CHS daily announcements and I’m the CHS Dragon Mascot. SS: What about outside of school? BT: I’m involved with the Southlake Chapter of the National Charity League and I travel around the Metroplex doing speaking engagements or performing as part of my title duties. SS: What about your school classes? Do you have a favorite? BT: Probably AP Biology. I’m doubling up on my sciences this year because I’m thinking of possibly graduating early. I love being the Mascot too. It’s fun and I’ve really learned to understand the game of football. SS: How does the competitive spirit at Carroll affect you? BT: My high school is great; you constantly strive to be your best. Dragons are so motivated and we learn excellence. SS: Have you thought about your plans after high school? BT: I want to be a pediatrician. I’d like to go to Baylor for both my undergraduate degree and medical school. It’s a great school and still kind of close to home too. It would be great to be able to come home once in a while to be with my family and do some laundry. SS: You were crowned Miss Teen Southlake in October but that wasn’t your first pageant, was it? 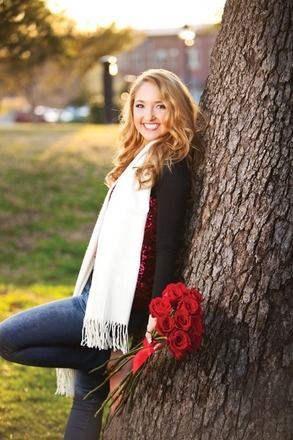 BT: No, I’ve participated in other pageants and most recently represented the area as Miss Teen North Texas 2011. Being crowned Miss Teen Southlake 2012 made me a part of the Miss American Organization and I’m very proud of that association. SS: What does it mean to you to be part of an organization with such a rich history? BT: I like everything they stand for. The 4 points of the crown represent Style, Success, Scholarship and Service. They offer college scholarships and even the swimsuit portion of the pageant encourages you to live a healthy lifestyle. SS: So, you’re planning to continue to participate in pageants? BT: Definitely. There are three levels to the Miss America Organization, local, state, and regional. Since I have the title at the local level, I’m competing for Miss Teen Texas in June of 2012 to try to get to the next level. SS: How do you prepare for pageant night? Is there someone who helps you with choosing a dress, hair, and makeup? BT: As part of the Miss America Organization I have a board of about 7 volunteers who work with me giving me dress advice and being my core support system. They are my biggest cheering buddies. SS: What’s your favorite part of the pageant competition? BT: I’d have to say the talent portion is my favorite part, it’s so much fun to get up and perform. SS: We heard you have an interesting talent, ventriloquism. That’s not your everyday hobby, how did you become interested in becoming a ventriloquist? BT: When I was 5 a friend of my mom came over who was a ventriloquist and after watching her perform, I fell in love with the process. Her name was Amy Jones and she was really my mentor. Amy got me into the ventriloquism and whole pageant thing. SS: It’s an unusual talent, isn’t it? BT: (laughing) There have been others but there are definitely a lot more singers and dancers. I use ventriloquism figures that aren’t exactly “puppets.” These have seven different gears and triggers that you manipulate with your hand. Sometimes I have one on each hand and my grandparents even built me a platform so I can use a third with my feet. It’s a true family effort. 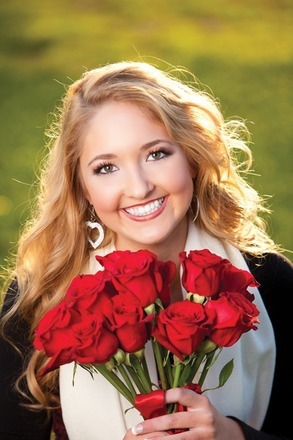 SS: What will your reign as Miss Teen Southlake 2012 look like? BT: I’ll be making speaking appearances throughout the year, talking with people about my platform of Triumph Over Tragedy. I really enjoy the speaking engagements; when I’m talking with kids I will sometimes bring my puppets along to incorporate them in my talks. I do parades, visit hospitals and nursing centers and perform my talent at places like Children’s Medical Network, the Mansfield Opry, American Heart Association, anywhere that gives me an opportunity to talk about my platform. SS: What is your goal this year as reigning Miss Teen Southlake? BT: I really want to further my platform, Triumph over Tragedy. It’s about overcoming adversity and raising rare disease awareness. The medical community has only identified 40 people with the disease that took my sisters, Aicardi-Goutieres syndrome. I’m the oldest. I was 5 when my sister, Caroline, passed away. She was 2 ½ and we knew she was sick since she was six months old. Then my sister, Alexandria, was 3 ½ when she passed away at the end of my sixth grade year in school. I’m sixteen and for six years of my life I had a dying sister in the house. Doctors just don’t know enough about this degenerative brain disease; they don’t have a course of treatment, nothing. After the neurologist ran all the tests on Caroline they really came up with nothing, but concluded that AGS was the best probable diagnosis. It was very rough but really brought my family closer together, I think we’re closer than most families. My parents really inspired me to get through the tragedy, we all pulled together and we have a strong Christian faith that gets us through. Everyone experiences tragedy to some degree; speaking to kindergartners I ask them if they have ever lost a pet. I talk about my sisters and I use my acronym, POWER, to show them how I dealt with tragedy, learned to maintain a positive attitude, and work through adversity. SS: Explain your POWER motto to us. P = Press on, keep going. O = Overcome your tragedy by helping others, helping others helps them AND you. R = Rise up to be your best. SS: Brittany, you’re a remarkable young woman. We wish you all the best in your future endeavors. After getting to know Brittany we’re amazed at the dedication and purpose we saw in a student of this age. Keep your eyes and ears open, Southlake. We are all going to be hearing much more from this up and coming young lady in the future. She’s certainly a neighbor we need to know.